Brand New! 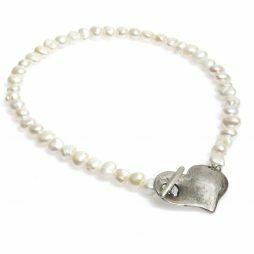 This divine and very wearable Danon bracelet features a row of freshwater pearls with a silver plated concave heart design at the centre. 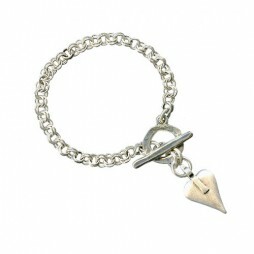 A truly beautiful and classic piece of jewellery designed to be worn by stylish, elegant women everywhere. 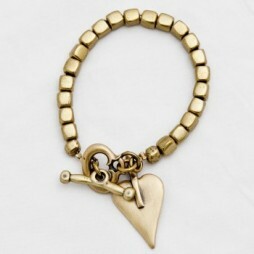 Add to your collection or give to your loved one for the perfect gift. Matching necklace available from Lizzielane. Your Danon Jewellery from Lizzielane arrives to your door in a beautiful Danon gift box. 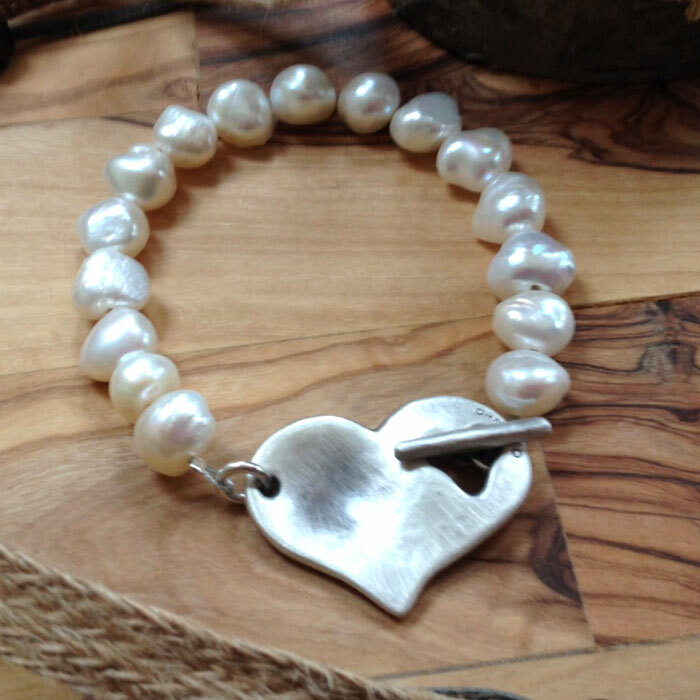 This pearl bracelet measures approximately 19cm from end to end and fastens with T-bar device through a hole in the silver plated concave heart. 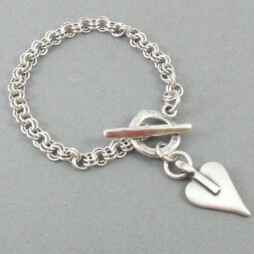 The heart design measures approximately 3.5cm by 2cm. 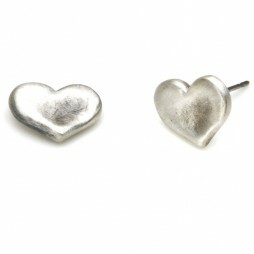 Part of the Danon Chunky Heart Collection – also available from Lizzielane in silver. Danon Jewellery was initially established by Josef Danon in Tel Aviv during 1975. 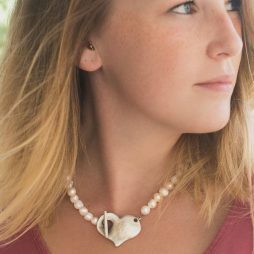 From a small family managed workshop they have actually gained popularity and their jewellery designs is currently sought after around the world. They specialize in a single element: producing jewellery as well as products that individuals need. Still manufactured in Tel Aviv, Israel by Danon, their attention on fine detail and design and style is just what makes their jewellery so distinct and desired. Danon is identified with in demand design and style as well as quality that is simply elegant. They have in recent times made collections which together with making use of the very latest and modern production procedures, have all been hand made to offer each piece a individuality that people have come to associate with Danon and their Jewellery. Danon Jewellery Pearl Collection, Valentine's Day Gifts, Bride & Bridesmaid Gifts, Danon Jewellery, Danon Bracelets, Gift Ideas, Gifts £40 - £50, Bracelets, Chunky Bracelets, Chunky Jewellery, Heart Bracelets, Pearl Bracelets, Silver Bracelets.